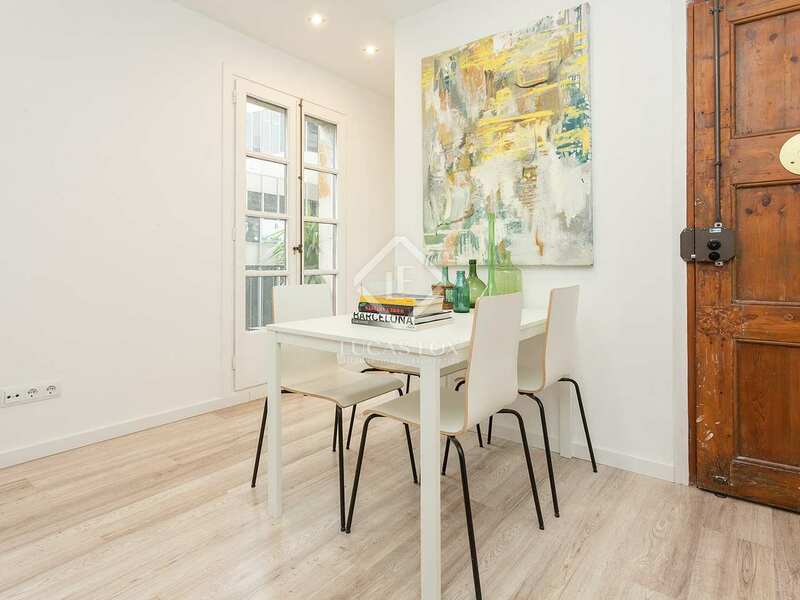 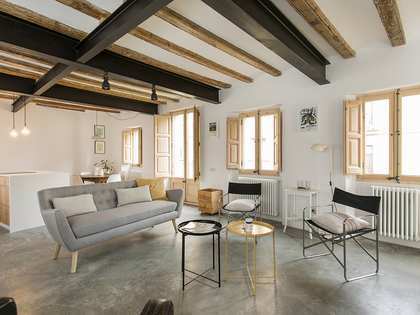 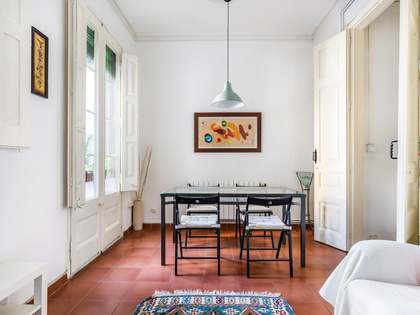 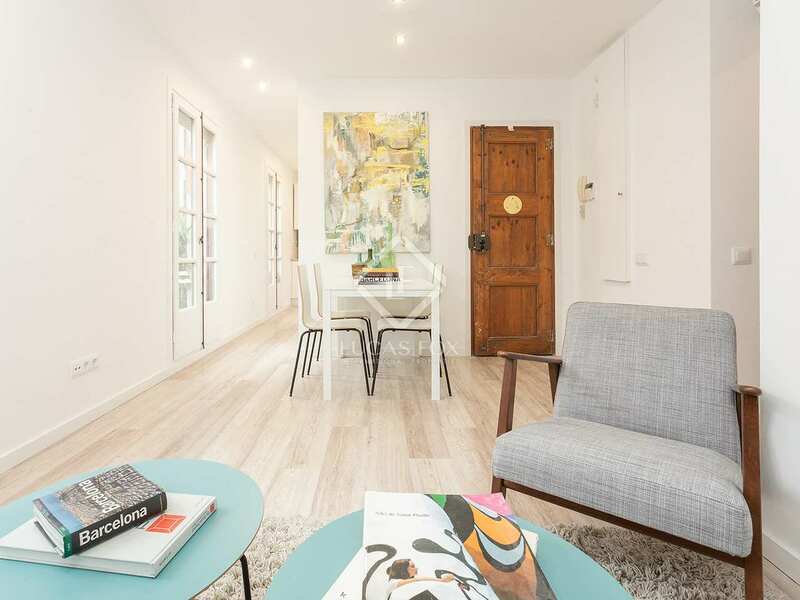 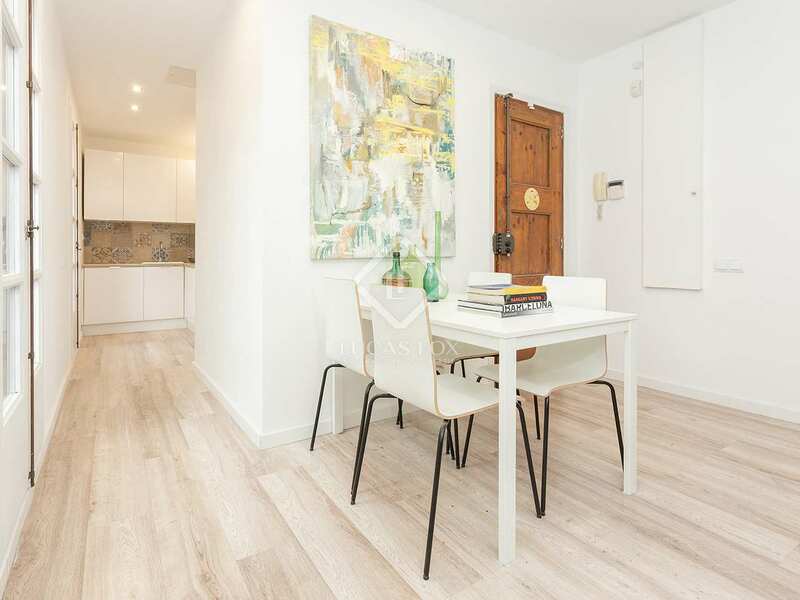 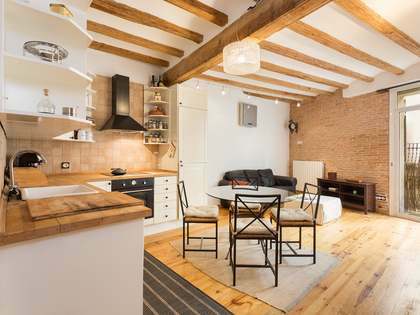 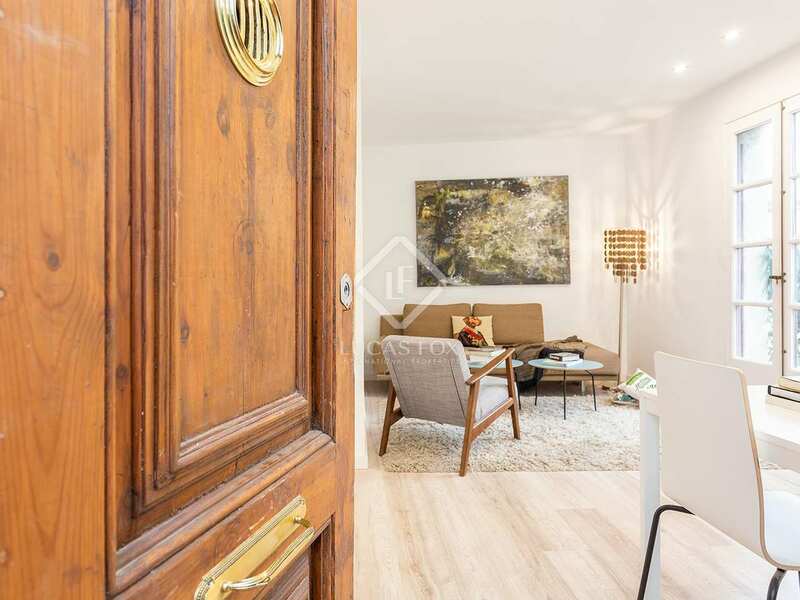 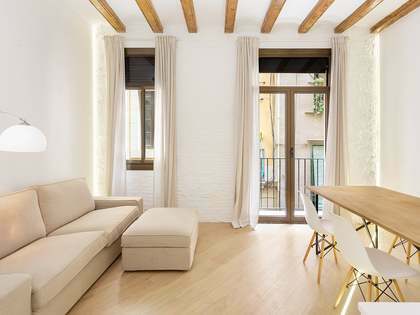 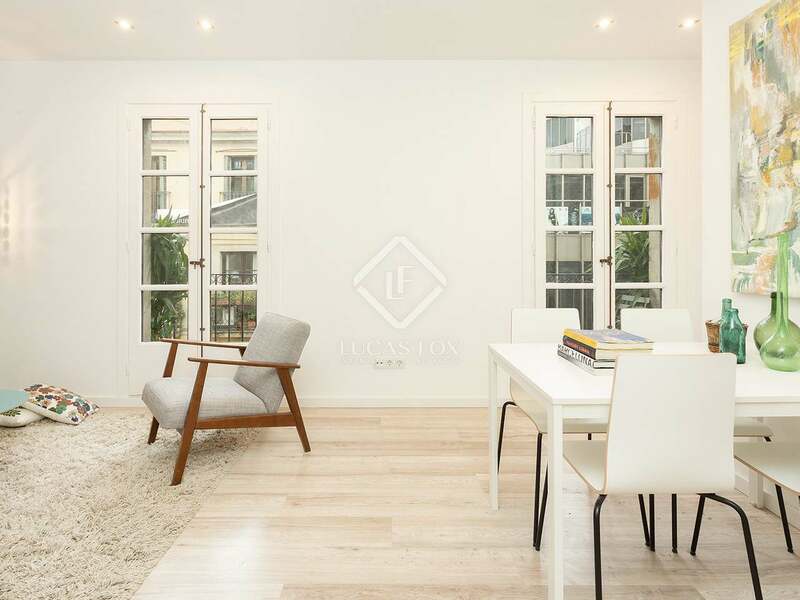 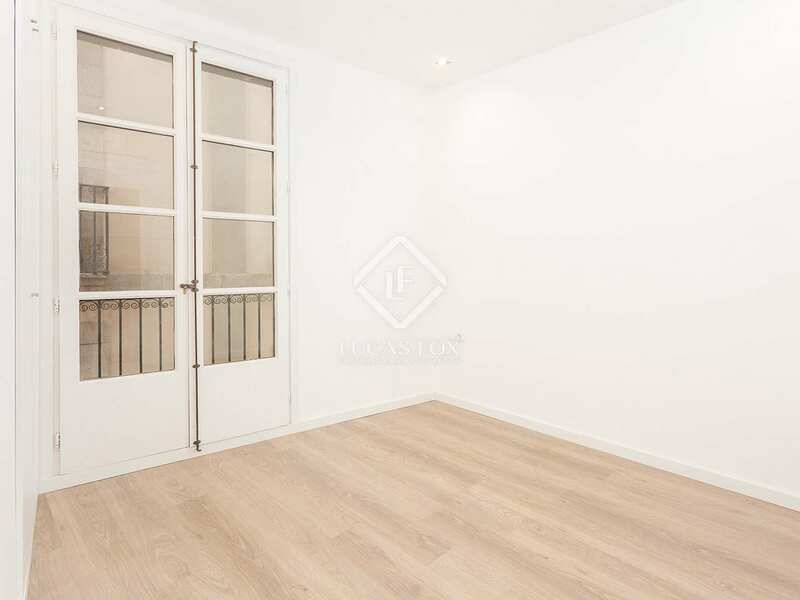 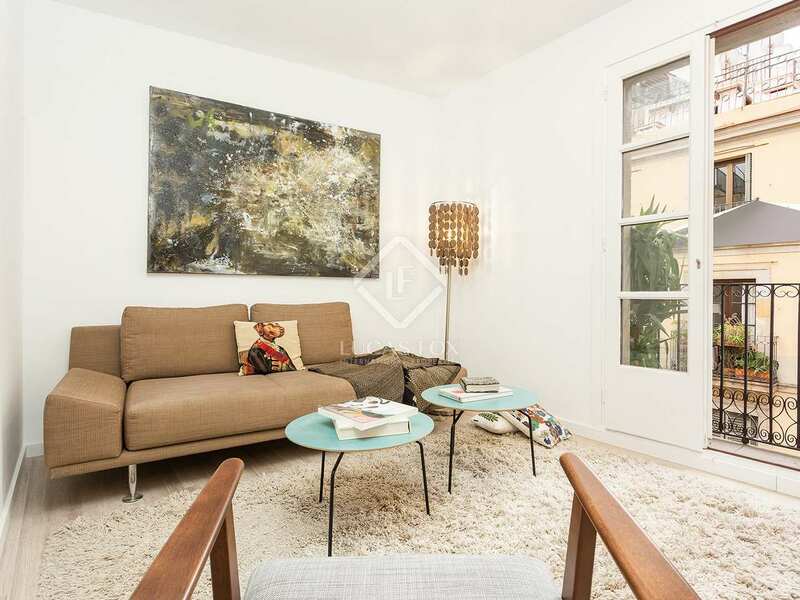 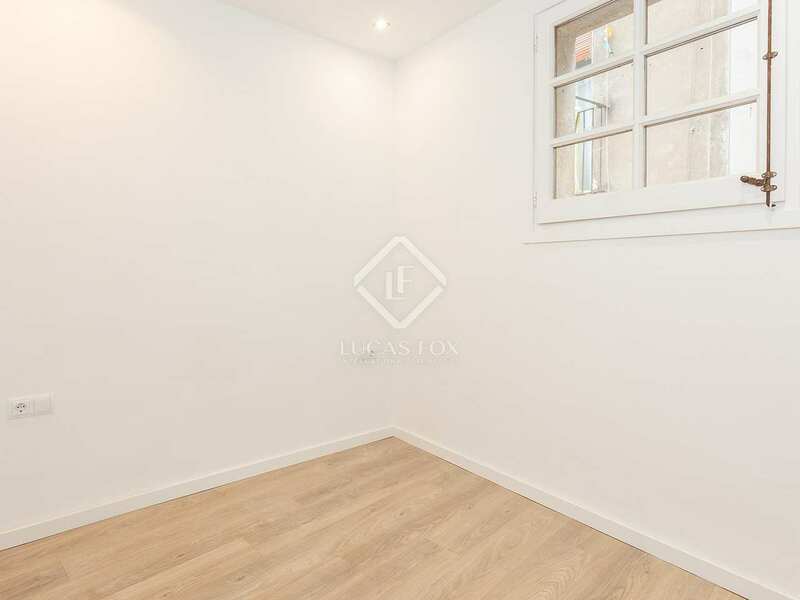 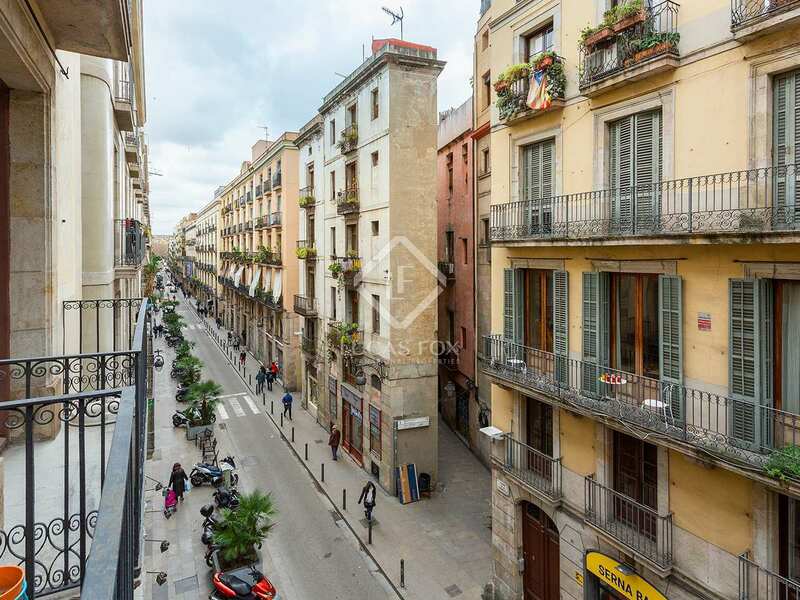 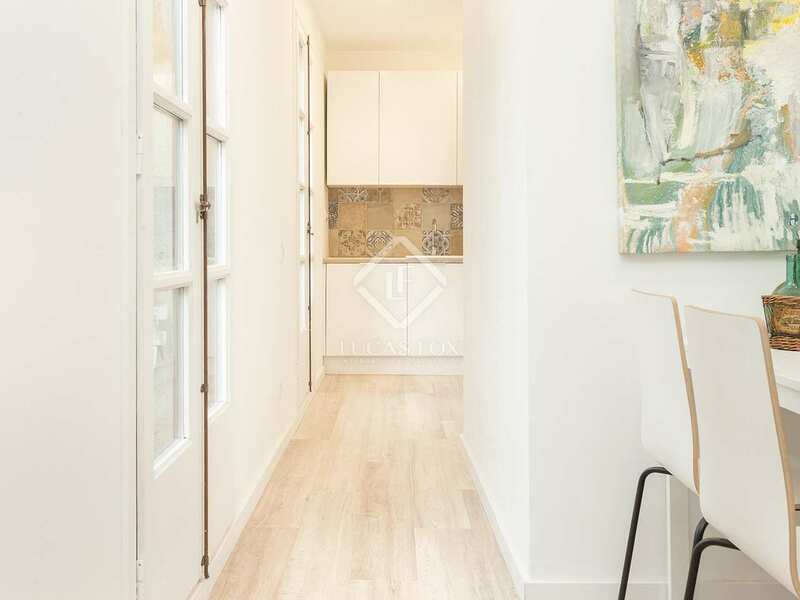 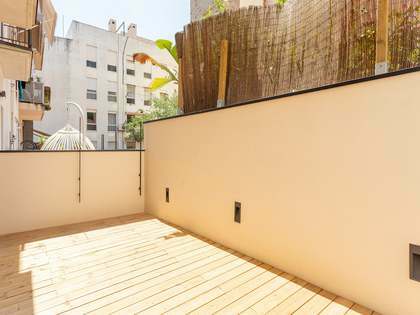 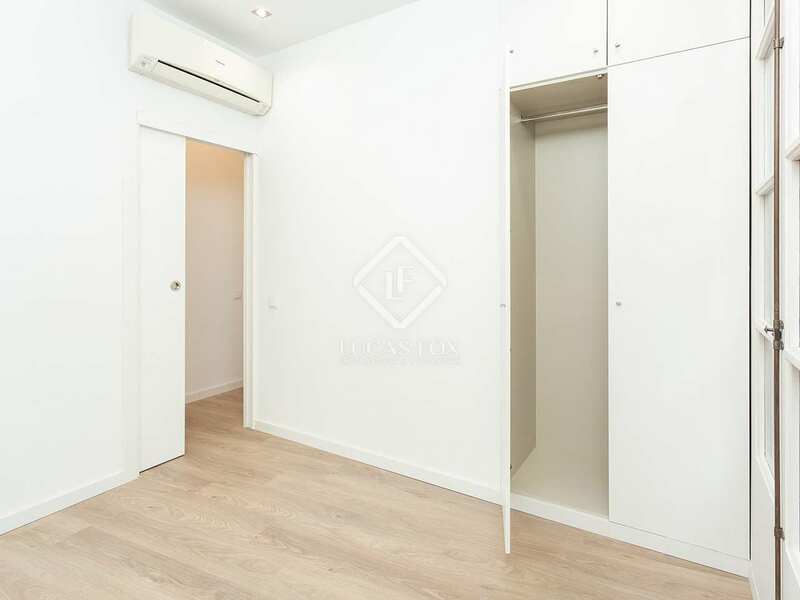 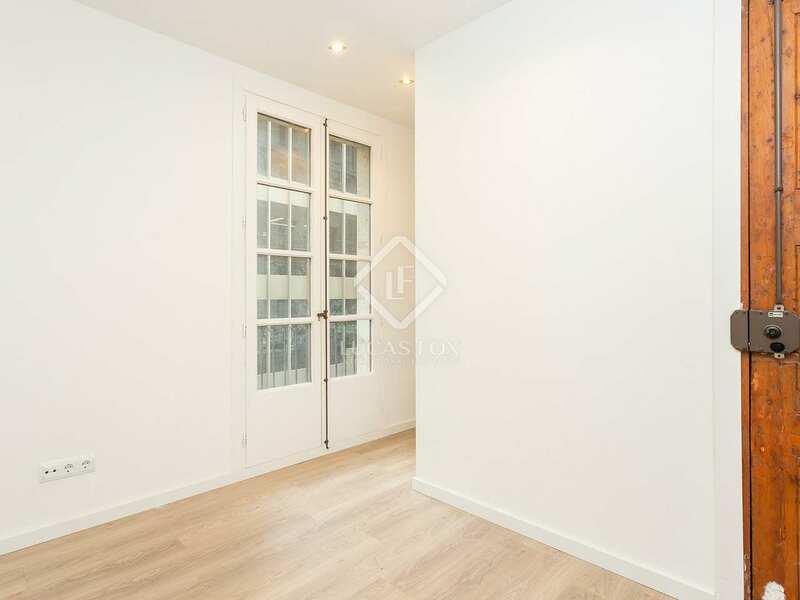 Newly renovated Nordic-style apartment for sale in Barcelona’s much loved El Born neighbourhood. 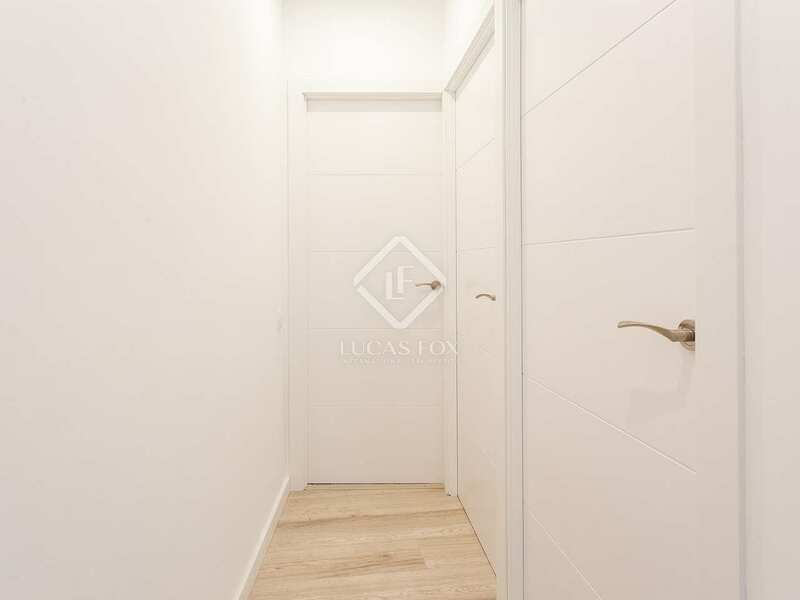 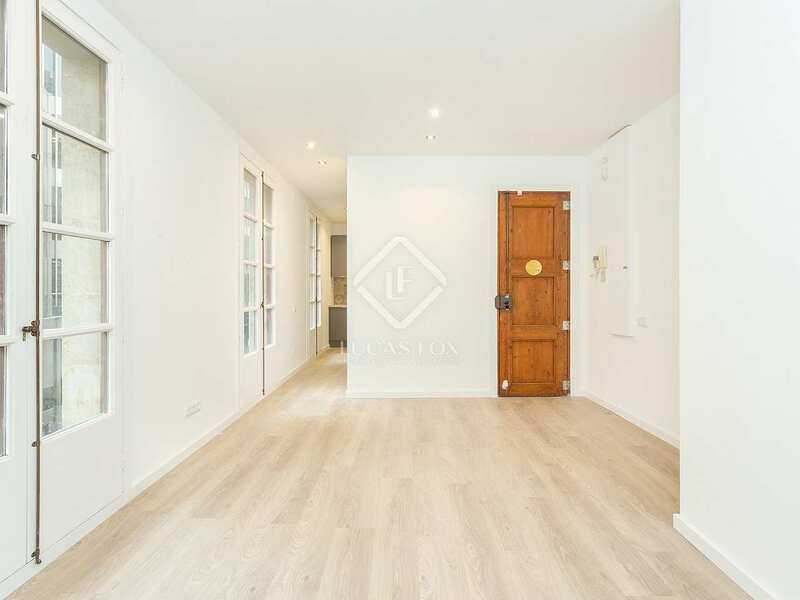 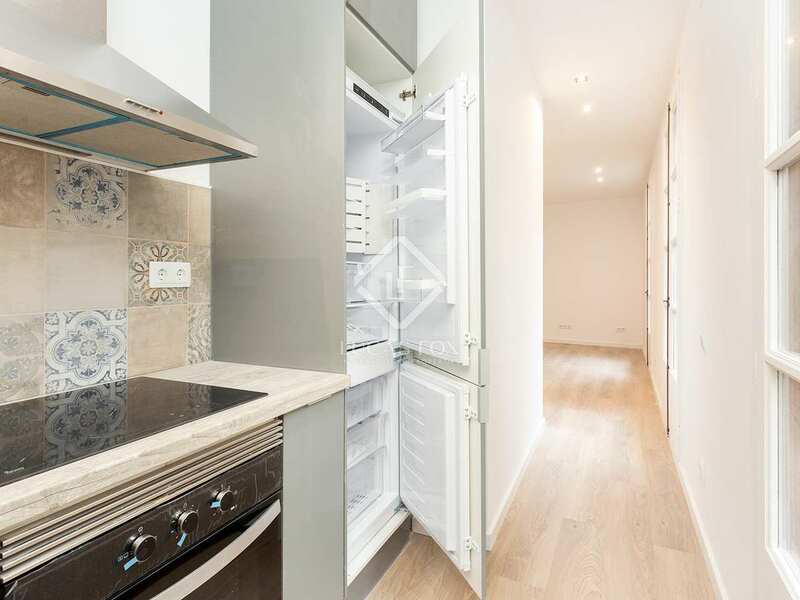 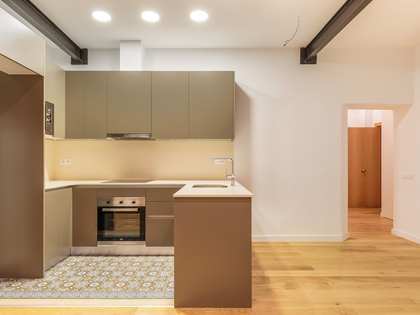 This brand-new development, offering this exceptional property for sale in a refurbished 1930s building, is found in a prime location, in Barcelona's trendy and historical El Born neighbourhood. 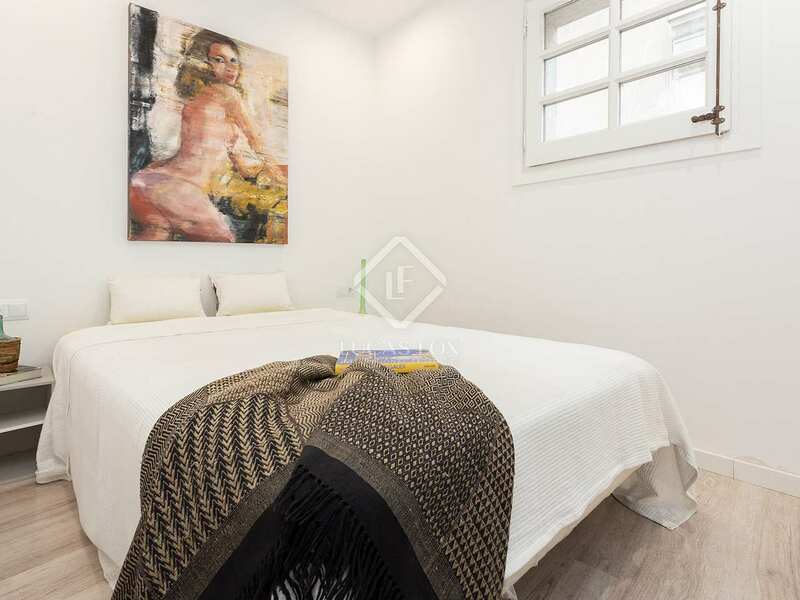 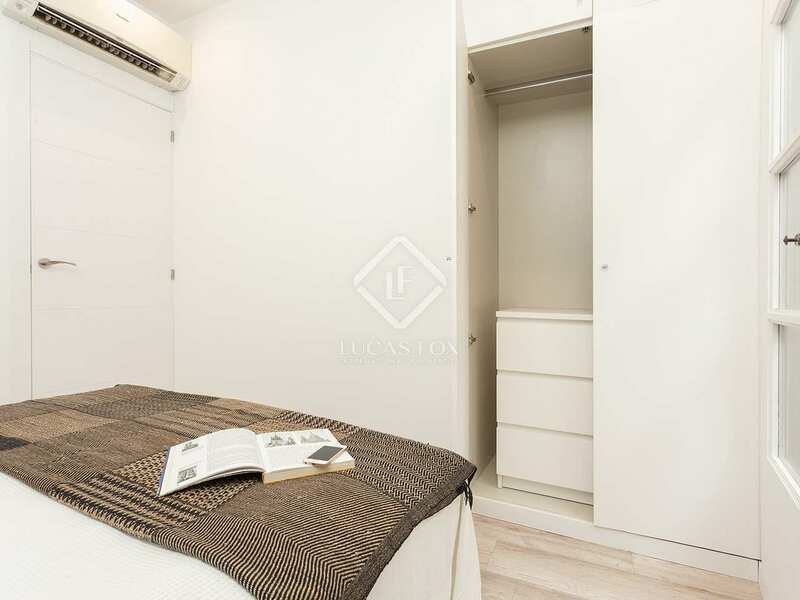 The strategic location places the very best of the city at your feet, with a metro station, cafes, shops, restaurants, the beach, port and Ciutadella park all within easy walking distance, not to mention the world-famous Picasso Museum and Palau de la Musica. 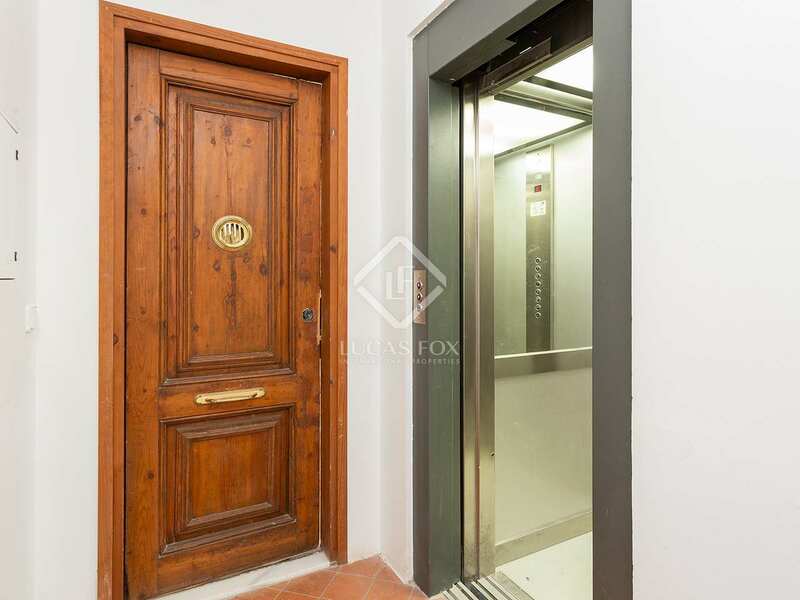 The apartment enjoys the double advantage of being on one of the widest streets in the Born area, yet one with restricted vehicle access only for residents. 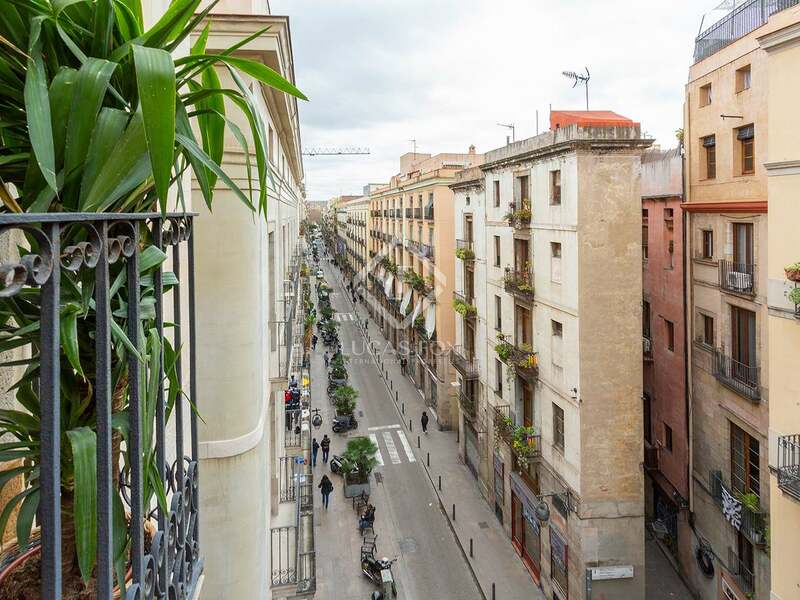 Furthermore, the building benefits from a lift and a communal rooftop terrace with far-reaching views across the entire city. 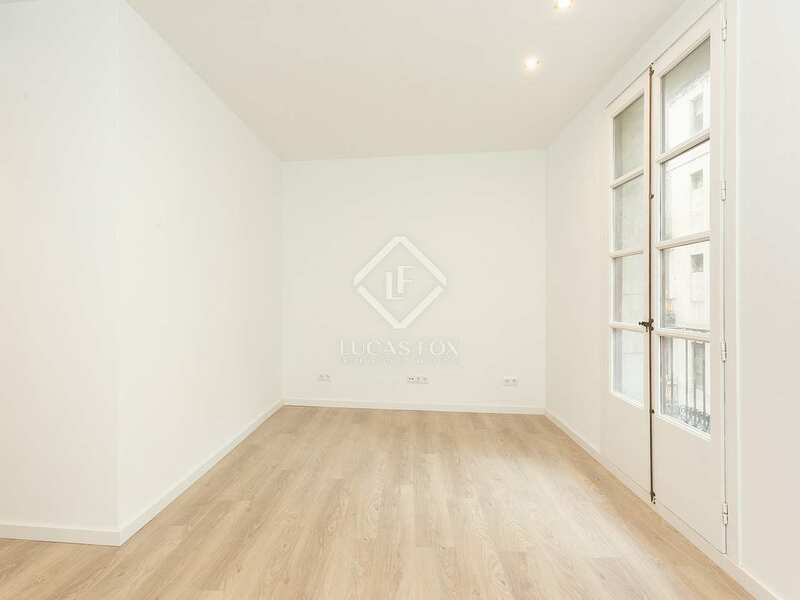 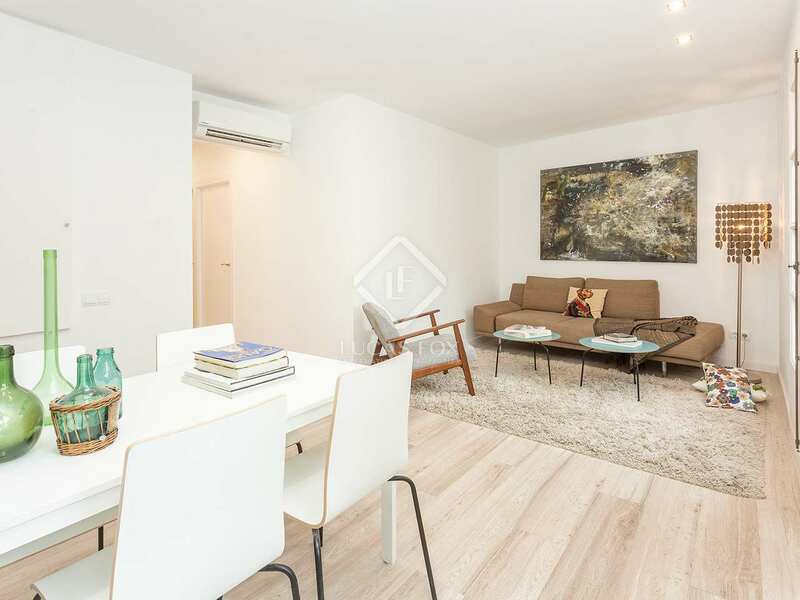 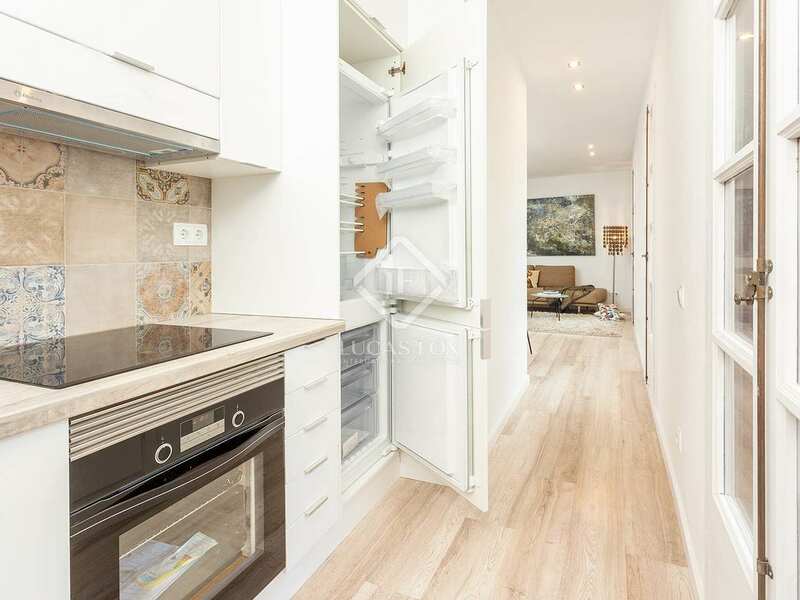 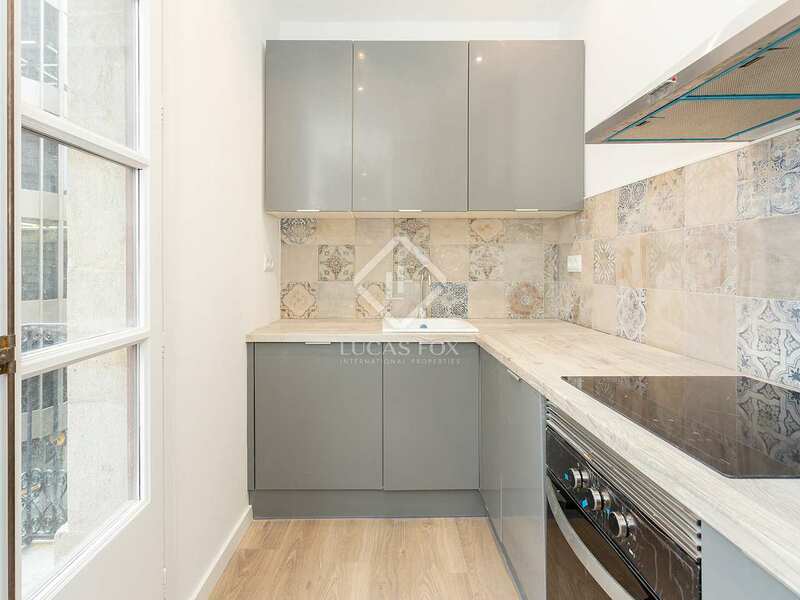 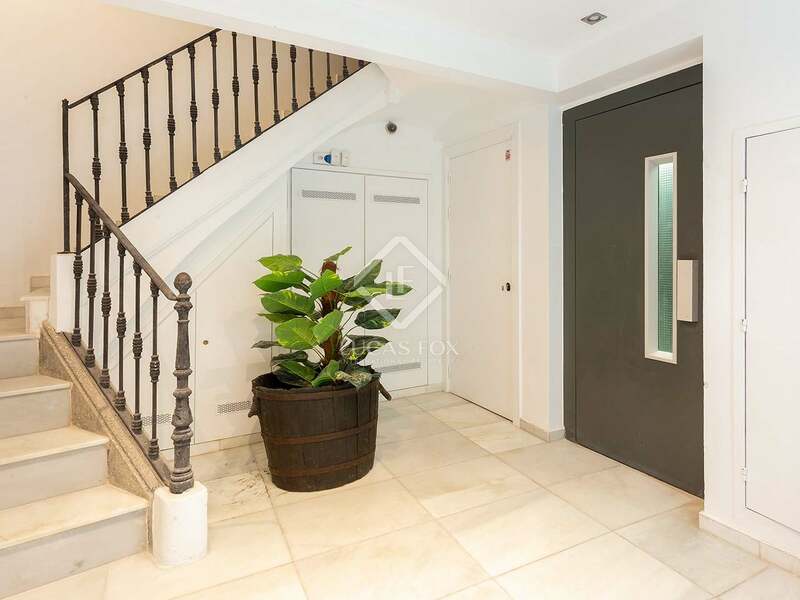 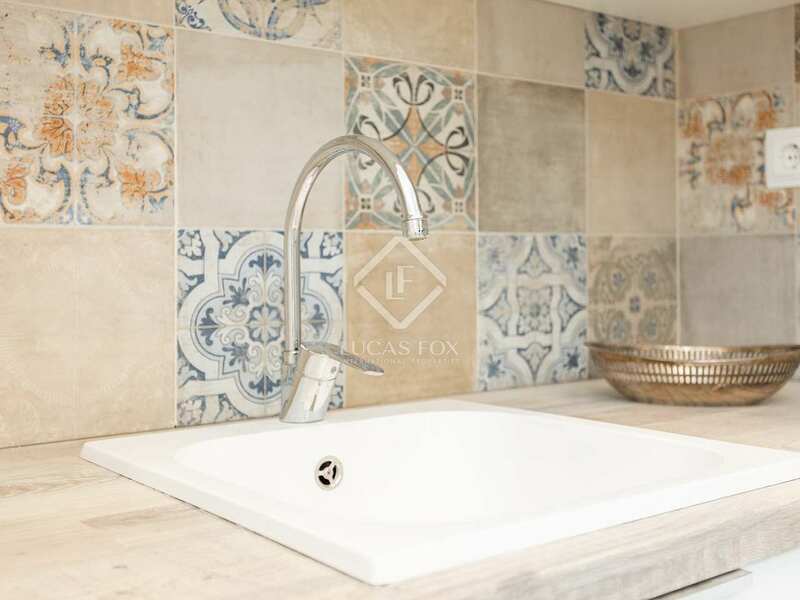 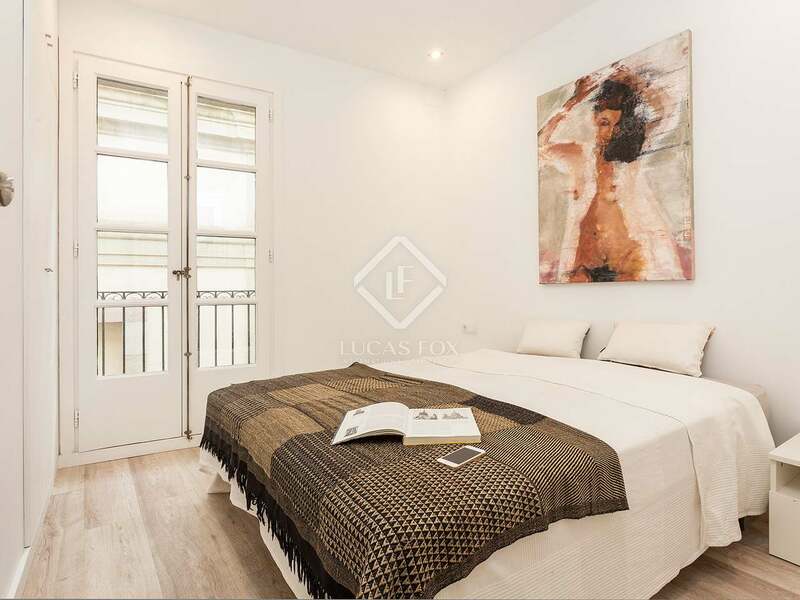 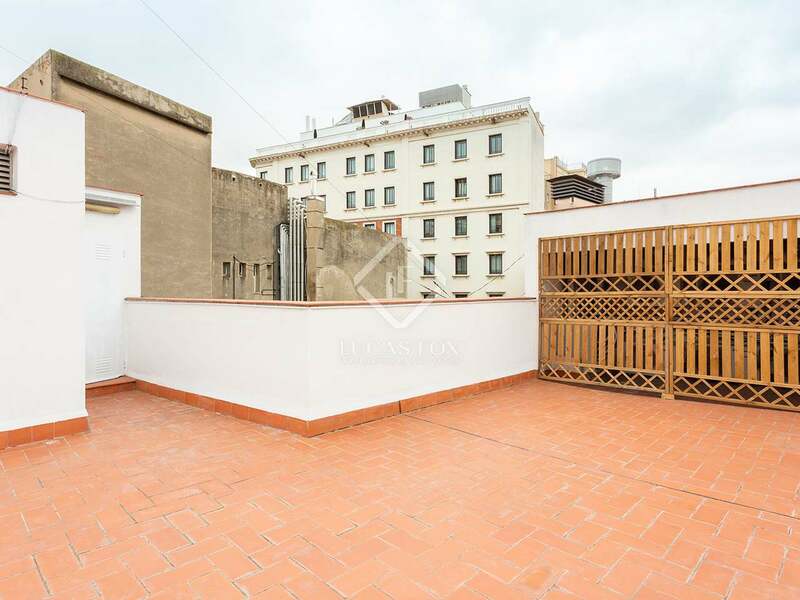 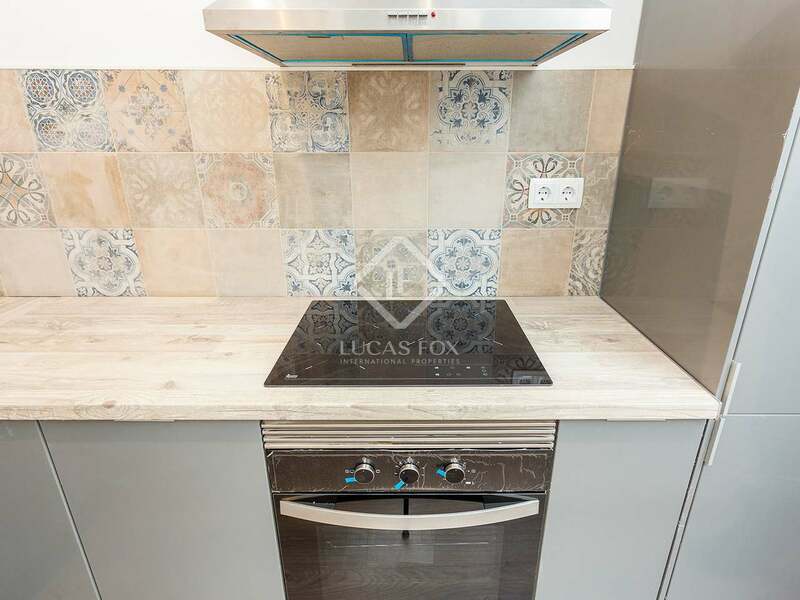 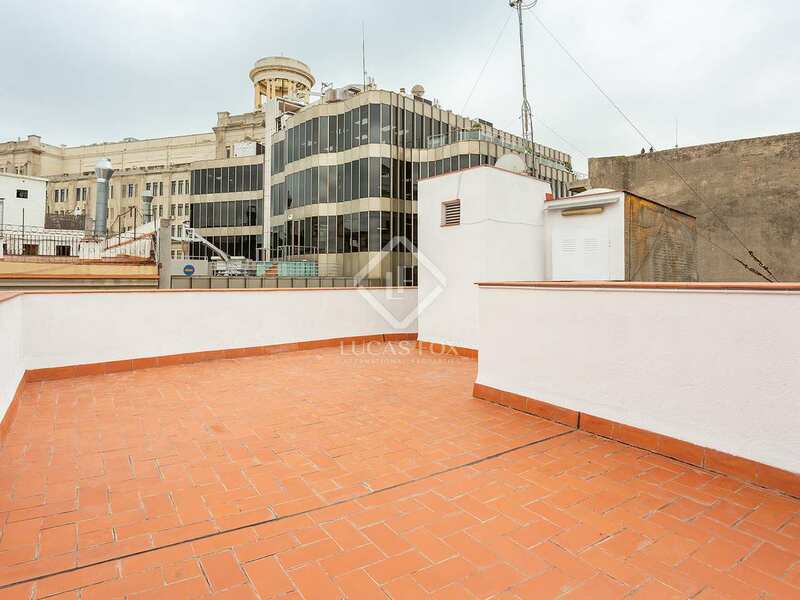 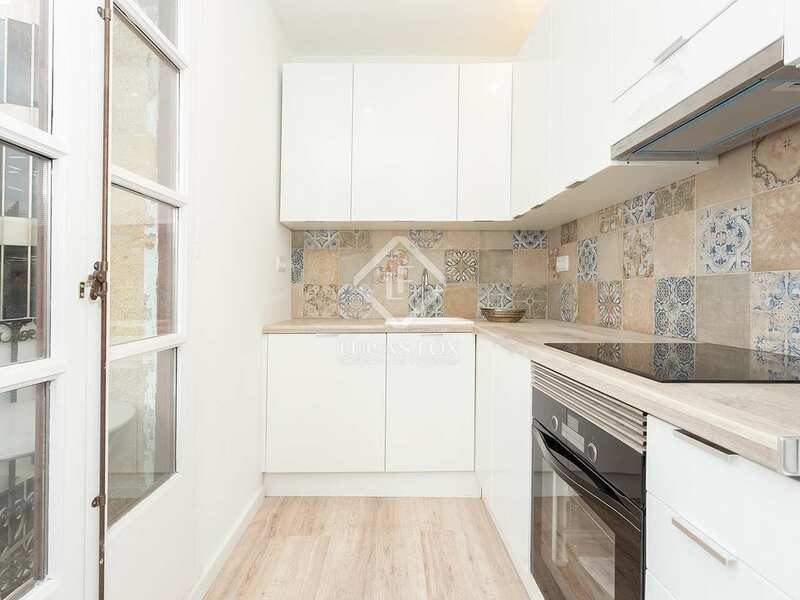 This second floor property measures 60 m² and offers 2 double bedrooms, 1 bathroom with a shower, a modern kitchen and a bright living room – dining room with balconies overlooking Carrer Princesa. 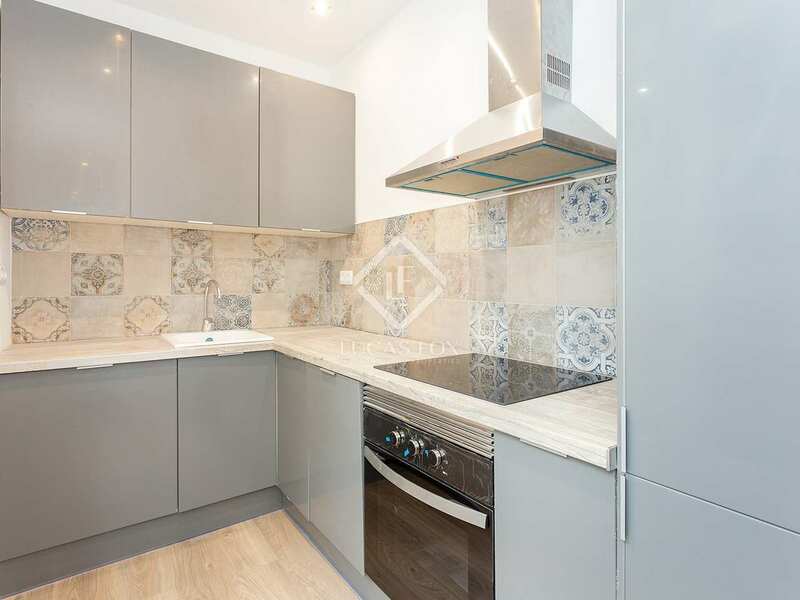 It has just been fully renovated and is presented with air conditioning units, double glazed windows, built-in wardrobes and comes complete with a dishwasher and washing machine. 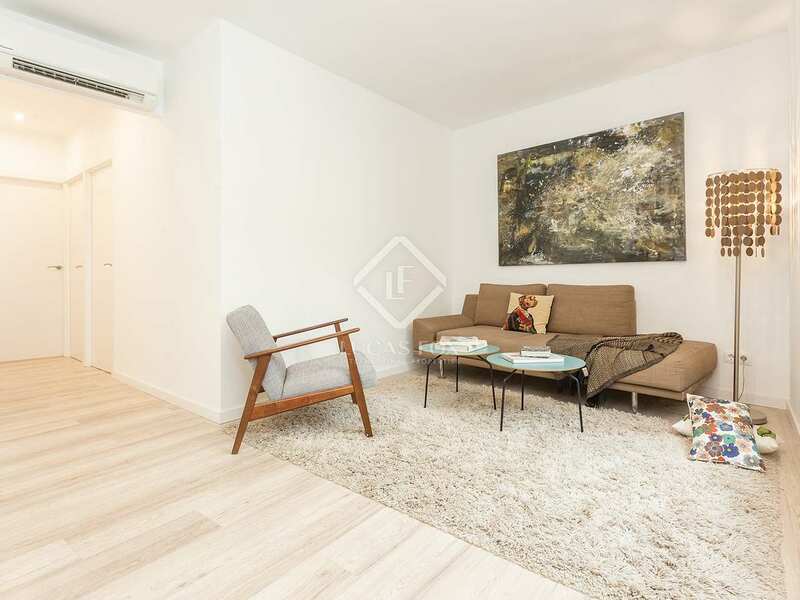 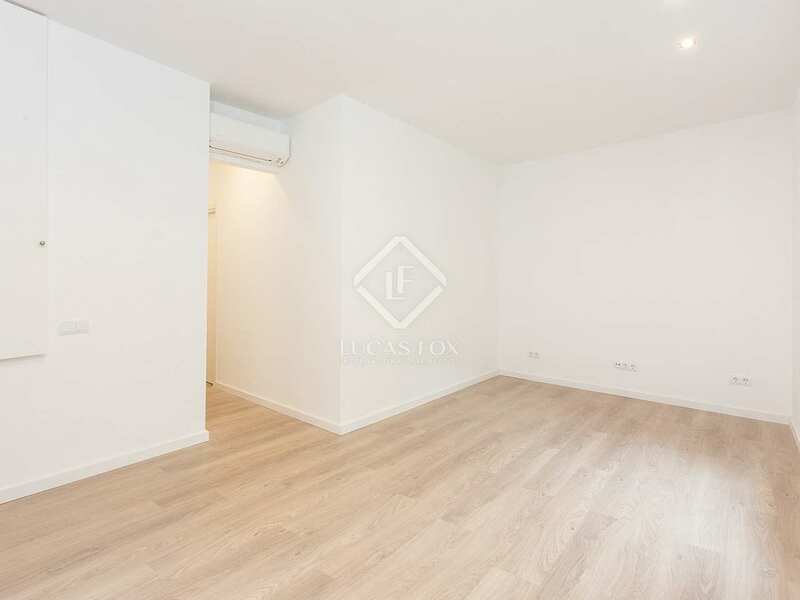 The fresh, modern interior design and abundant natural light make this a particularly appealing and comfortable city residence and the enviable location guarantees excellent return on investment.